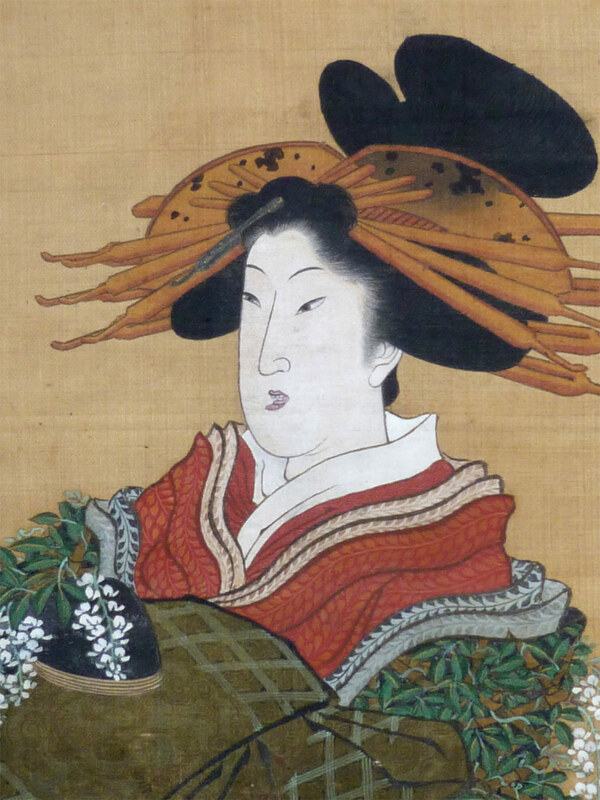 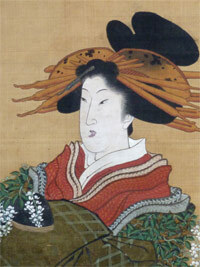 An original painting showing a sumptuously attired parading courtesan. 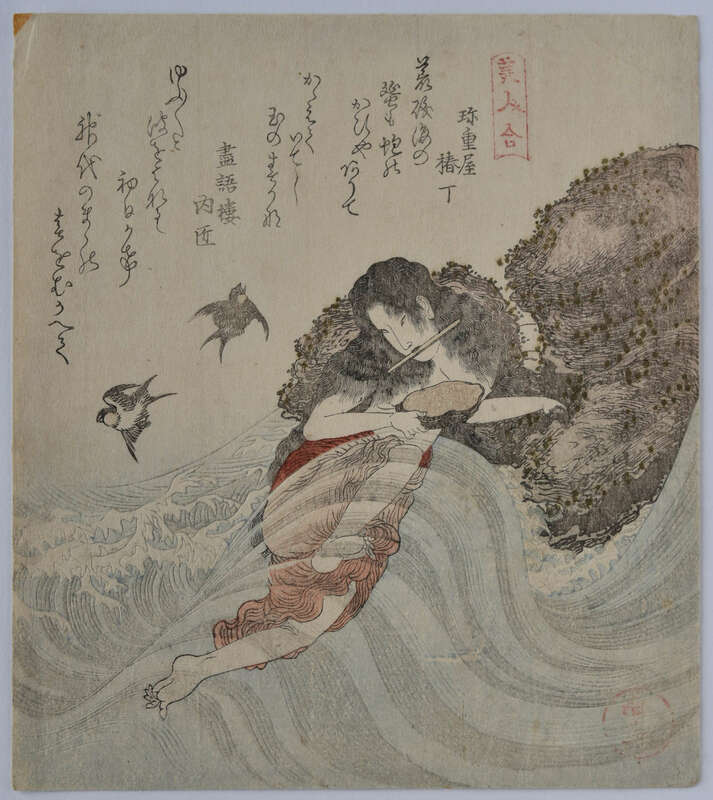 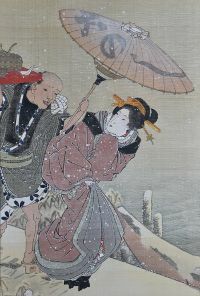 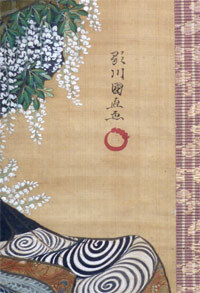 Kuninao was a pupil of Toyokuni, then a follower of Hokusai. 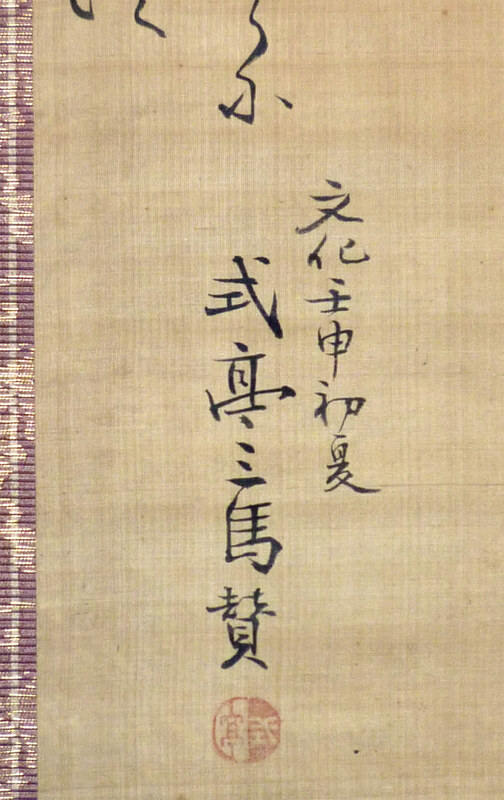 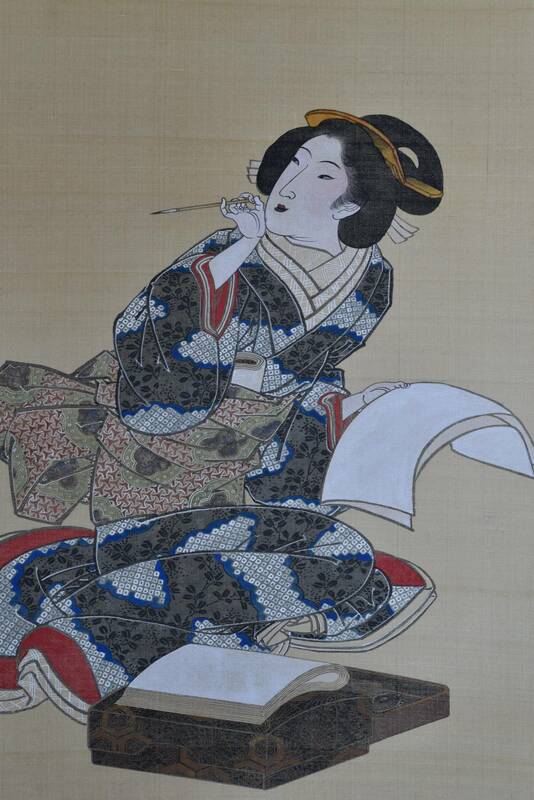 Above is a lengthy inscription on the Yoshiwara by Shikitei Sanba ( 1776-1822 ). 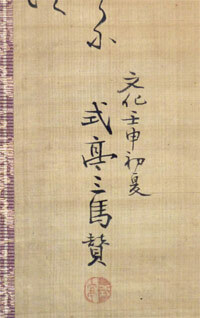 Together with Santo Kyoden, a professional writer of gesaku fiction. 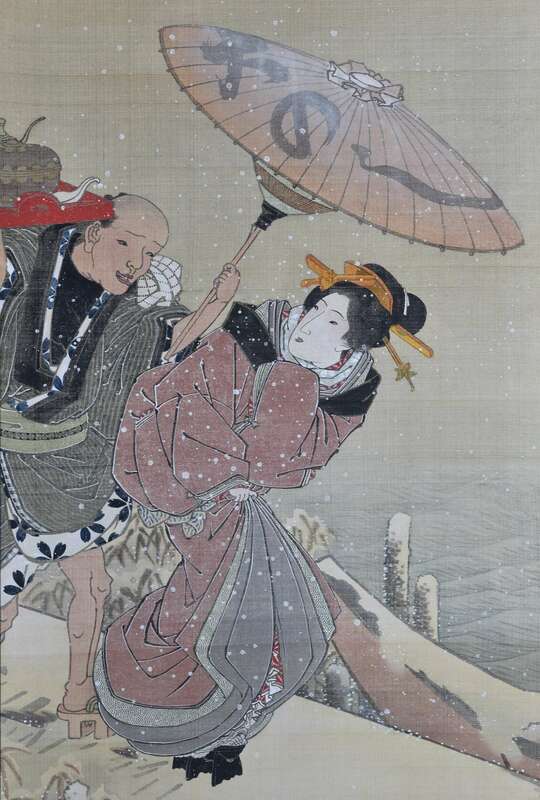 Famous for one of the best known works of the late Edo period; Ukiyoburo or “Bathhouse of the Floating World” ( 1809 ). 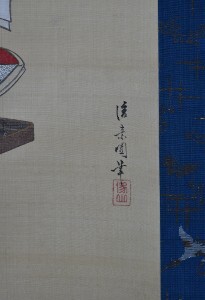 Full colour on silk, 33.25 x 12.25 in; 84.5 x 31 cms. 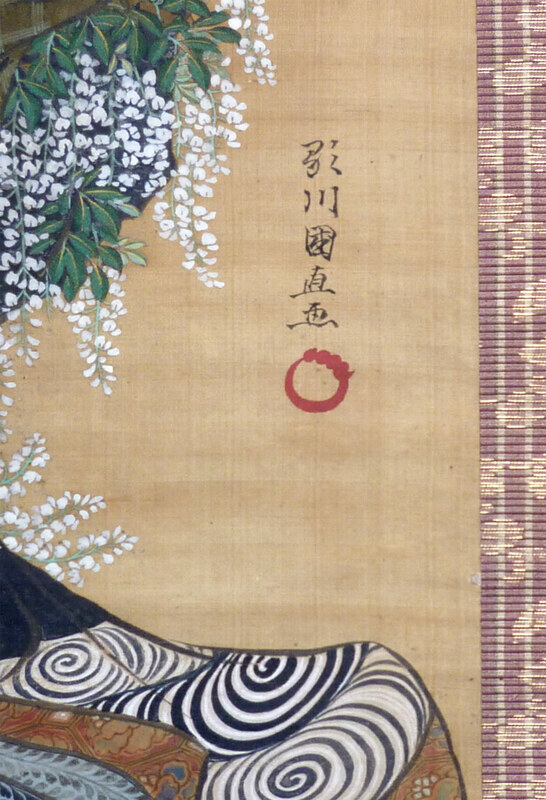 Slight browning, otherwise good condition. Old mount in good condition. Painting signed Utagawa Kuninao with Utagawa seal. Inscription signed and sealed Shikitei Sanba with date Bunka 9 ( 1812 ).